People are living longer. 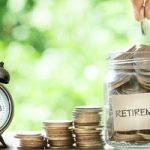 Most people recognize the fact that they must ensure that there is sufficient capital to fund retirement, yet amazingly people still delay retirement planning. This is largely due to the fact that many are under the illusion they have plenty of time to do something about it. However, did you know that even the majority of the expatriate working population is in danger of having a significant pension shortfall? Over-estimate how long their pension fund will last. Under-estimate how long they will live. Withdraw too much of their funds too quickly. Don’t allow for inflation which erodes the spending income. When you retire, it will not be how much you have earned during your working lifetime that will be important, but how much you have saved. For international investors the goal of financial independence can be reached sooner rather than later. The nature of international employment means that an individual’s pension arrangements must be comprehensive, yet portable and flexible. This cannot be achieved without forethought and planning. The importance of retirement provision cannot be over emphasized. 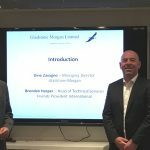 Gladstone Morgan regards sound and appropriate pension provision as a fundamental component of financial planning and will work with clients to achieve ‘financial independence’.